After saving a beautiful woman from three would-be attackers, Michael O'Hara (Orson Welles) is offered a job by the woman, Elsa (Rita Hayworth). Although apparently disappointed that she is married to a prominent defense attorney, Arthur Bannister (Everett Sloane), Michael agrees to pilot her husband's yacht. At sea, Michael not only witnesses the rather unusual relationship between husband and wife, he also meets Bannister's law partner, George Grisby (Glenn Anders). Grisby makes a peculiar offer: the lawyer is planning on faking his death, and he wants Michael to confess to the "murder," so that Grisby can collect the insurance reimbursement. Michael agrees, because by this time, he and Elsa have started an illicit affair, and he needs the money so that they can leave together. The stage is set for various double crossings and multiple plot twists! The Lady from Shanghai is clearly a film about control, or the lack thereof. From the beginning, it seems, Elsa is controlling Michael. She draws him in with her beauty, and although he initially appears upset that Elsa is married, Michael still accepts the job offered by Mr. Bannister. Does he need to money? Perhaps. But the audience (and Elsa) knows why he really wanted to go sailing. Elsa controls everyone, and by extension, she controls everything. Elsa manipulates all three men and has them playing against one another. For example, one could maintain that she kissed Michael knowing full well that Grisby would see them. One of the movie's best lines belongs to Elsa (when first offering the job to Michael): "I'll make it worth your while." This is the essence of Elsa. Would a man do something he didn't want to simply because she asked him to do it? Most likely, yes. 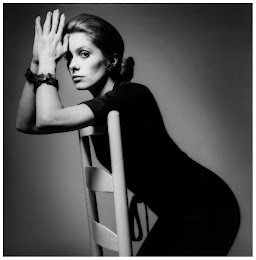 And there's absolutely no question as to what she's referring, by the breathy and seductive manner in which she speaks the line. Elsa even controls the camera. One scene in particular is a great example of her visual control. Elsa is lying on the ship's deck with Grisby sitting nearby, and Bannister is discussing money with Michael. 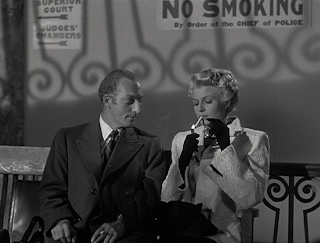 While Bannister is talking, the shot lingers on Elsa as she hands her cigarette to Grisby and asks him to light it (for the audience, her dialogue dominates and momentarily overrides Bannister). Another shot shows Michael lighting the cigarette, and then a crane shot follows the smoldering cigarette from Grisby to Elsa, who indifferently puffs away. Michael desires Elsa, Bannister is speaking about money and happiness but seems to be alluding to his beautiful wife, and retrospectively, it's known that Grisby is planning on killing Bannister for Elsa. Three men -- three fools -- all controlled by the magnetic woman dreamily staring at the sky. Likewise, the shots of Elsa lying on the deck and posing on the rocks are seductive images. Grisby spies on her, and Michael watches her, too. The two men cannot look away. The theme of "control" is intriguing. Welles wrote the screenplay (with a small credit for the story and novel), produced, and directed. He also famously had his wife cut and dye her trademark red hair. So while Hayworth's character was in total control on the screen, Welles wielded it behind the scenes -- until the studio took it away. Welles had trouble maintaining control of his films after Citizen Kane (1941). The Magnificent Ambersons (1942) was completely recut without his consent, as was The Lady from Shanghai. Welles' original cut was reportedly 150 minutes, so that means there's an hour of missing footage. The studio reeling Welles in was quite possibly beneficial, as it is difficult to imagine the film at two hours, let alone in excess of that. As Alfred Hitchcock once said: "The length of a film should be directly related to the endurance of the human bladder." 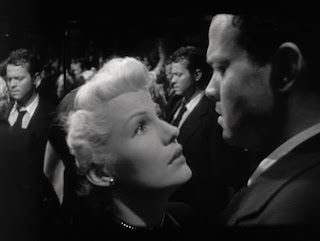 Welles' films always benefit from rich characters, and The Lady from Shanghai is no exception. Ironically, the most sympathetic character may be Bannister. He knows Elsa is bad (he starts to tell the story of how they met... but cuts it short) and know that he's under her control. He's even willing to pimp for her; isn't that what he's doing when he goes to the docks to hire Michael? He's willing to let her cheat on him, as evidenced by stating that he doesn't mind that Michael loves her (and he likely means "love" in the physical sense). All he asks is that she stay with him, which makes him sympathetic or pathetic or both? Then again, it's a fairly sad lot of people from which to find sympathy. Bannister seems to accept things the way they are, and he deals with life as it comes along. This is in contrast to Michael, who constantly looks ahead, hoping for everything to turn out one way but knowing it'll likely go somewhere else. I think the most unsympathetic person might be Grisby. Any type of control he has or thinks he has is highly evident, because he acts in the manner of a child, especially in the scene with Michael on the boat and Elsa is on the rocks. He also sweats incessantly, so perhaps Welles wanted the audience to view him as the "greasy" character. But, at the very least, Grisby is honest with himself. Michael wants Elsa, but he has to find excuses to be with her. Elsa would lie in a blink if it meant self-preservation. Grisby is transparent: he is greedy, he is jealous of Michael, and he wants Elsa, too. He doesn't try to hide his intentions or present himself as anything other than the greasy weasel that he is. Orson Welles was perhaps a better director than actor. While he's very good in Touch of Evil (1958), he was too exaggerated as the evil cop, and even in Citizen Kane, he hams it up. Although, he was always theatrical because of his work on radio, in which voice is the most important tool (it's similar to the theatre, where an actor has to overdo it a bit because he/she has to project the voice). Welles is sometimes too theatrical, but Michael in Shanghai is underplayed to great effect. Michael is a brooding man and an emotional punching bag. With a lack of presence, he's really only there for Elsa to unload upon. In short, he's the complete opposite of other Welles' characters, like Quinlan in Touch of Evil and Charles Foster Kane. 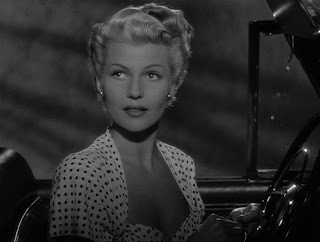 Rita Hayworth gives a smashing, memorable performance, and she and Welles are complemented by the supporting cast, especially Sloane (who played an equally cynical employer in 1956's Patterns, scripted by Twilight Zone creator/narrator Rod Serling). Though it's easy to see why The Lady from Shanghai is a cult film, it's undoubtedly flawed. Even at 90 minutes, it's an indulgent film, sometimes quirky just for the sake of it -- such as the over-the-top courtroom scene with Bannister cross-examining himself. Welles gives himself the best dialogue, though everyone has a memorable line or two. Technically, it alternates between shoddy (some of the rear screen shots) and dazzling (the location scenes in San Francisco, the incredible mirror hall climax). 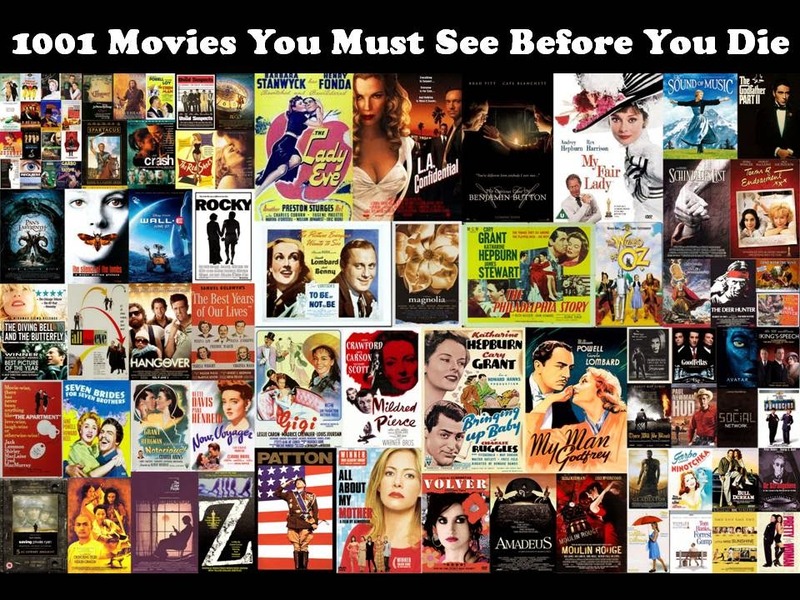 But one thing is clear: it's not an easy film to forget!